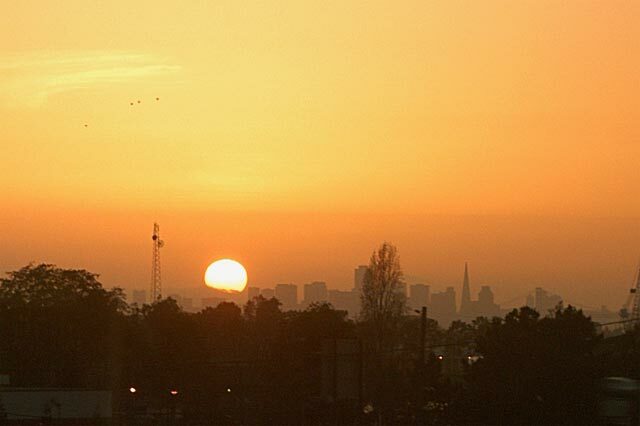 San Fran Sunset: It'll always happen, especially now that it's Spring. I'll be on the way home on a BART (Bay Area Rapid Transit) train, and I'll see a stunning sunset, only to lose it before I can pull my camera out. Well, I missed the best of this one, but still bolted quick enough to shoot it (much to the dismay of many fellow commuters). When I first saw it, it was perfectly silhouetted behind the city... This'll do.